FREDONIA - Ralph Patton, 92, of Fredonia died Sunday, November 15, 2015, at River's Bend Retirement Community. 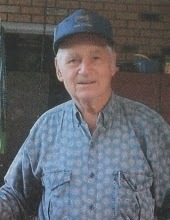 He was a retired tank car loader with Pennwalt in Calvert City and was a member of New Bethel Baptist Church in Lyon County. Survivors include one son, Dwight Patton of California; one daughter, Deloris Polk of Fredonia; four grandchildren; four great-grandchildren; and two brothers, Don Patton of Mexico, Kentucky, and Gilford Patton of Lyon County. He was preceded in death by his wife, Edna Brooks Patton; three brothers; and one sister. His parents were Raymond and Mary Hobson Patton. Services will be at 2 p.m. Saturday, November 21, 2015, at Lakeland Funeral Home in Eddyville with the Rev. John Baker and Dr. Jerrell White officiating. Burial will be in New Bethel Cemetery in Lyon County. Friends may call from 11 a.m. to 2 p.m. Saturday, November 21, 2015, at the funeral home. 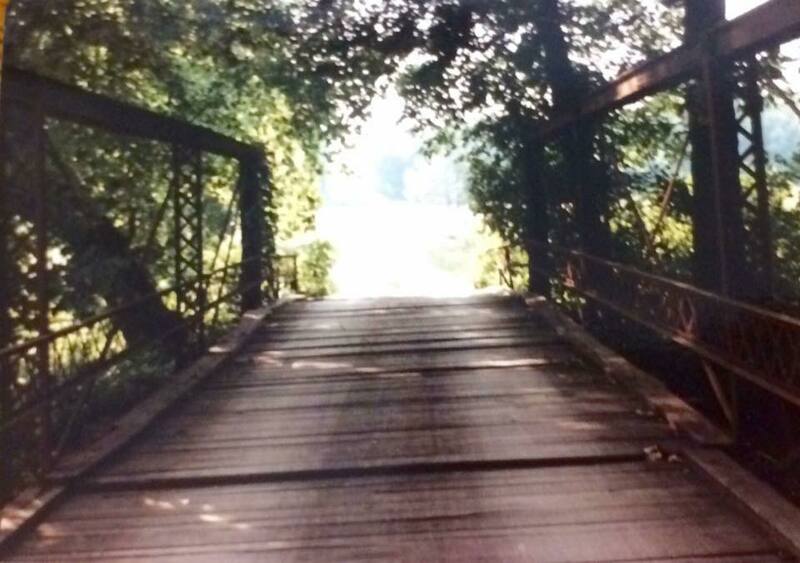 Memorial contributions may be made to New Bethel Cemetery, c/o Rodney White, 1808 U.S. 641 N., Eddyville, KY 42038. The fourth biennial Longshore and Sarah (Lee) Lamb family reunion was held on Saturday, Oct. 10 in Princeton, Ky. The family was among the first to settle in Caldwell County, after moving westward from South Carolina in 1809. More than 30 descendants, representing eight states (Kentucky, Indiana, Mississippi, Tennessee, Georgia, Michigan, Iowa, and Washington) traveled for the event. Since 2009, descendants have gathered in Caldwell County to explore the lineage of the Lamb family, from researching migration patterns from Swedish colonies to the New World, to reflecting on the western expansion of the Quaker family from Pennsylvania to South Carolina to Kentucky, to erecting memorial stones throughout the county. Years of research have culminated in a well-documented narrative of the family’s traditions and ways of life as they took up arms in war; struggled to find a place in the Quaker church; and reared their families on the fertile lands they called home. Pre-reunion events included an afternoon of genealogy research at Princeton’s Glenn E. Martin Genealogy Library and an evening dinner gathering. On Saturday morning, a new granite memorial tombstone for War of 1812 veteran William Lamb and his wife, Rebecca, was unveiled at the Orange-Dorr cemetery by the reunion hosts, Linda Lamb Monticelli of Plymouth, MI, and Matthew T. Patton of Atlanta. Descendants of the Lamb family from across the country funded the large monument that includes the names of the couple’s children. During the ceremony, musical selections were provided by renowned artist Alonzo Pennington with beautiful renditions of “The Star Spangled Banner,” “The Battle of New Orleans,” and “Ashoken Farewell” on the mandolin. After the graveyard ceremony, the family met at the Princeton Tourist Welcome Center for a catered Southern-style lunch. Attendees perused numerous map and presentations, including maps of South Carolina showing Lamb property; a 1681 map of Pennsylvania, detailing plots of land owned by Lamb ancestors; and a large version of Thomas Lamb’s last will and testament. Also on display were four museum-style storyboards chronicling the Lamb family’s colonization and daily life: “From Sweden to America”; “Quakers in Pennsylvania”; “The Lamb Family’s Routes Through America”; and “Union County, SC and the Quakers.” The hosts provided attendees with a 52-page souvenir genealogical reunion booklet. Guest keynote speaker William Mulligan, PhD, a history professor at Murray State University, delivered an interesting view of the War of 1812 and its impacts, particularly on Kentuckians. The state provided more soldiers in the effort than any other, including the Kentucky Detached Militia, commanded by Lt. Col. William Mitchusson, whose regiment was present at the Battle of New Orleans. Dr. Mulligan’s analysis and assessment of the motivations for joining the war efforts were, as he explained, simply theory. He urged attendees to think about our ancestors' rationale and justification for going to war, but reminded the audience that such decisions should not be judged by later generations. An afternoon of fellowship, comparing research notes and tips, and connecting with family members rounded out the reunion. A Lamb Family Reunion will be held on Saturday, Oct. 10, in Princeton, KY. The reunion will begin at 11 a.m. at the Dorr-Orange Cemetery just outside of Princeton where a dedication ceremony will be held and a new tombstone erected for William and Rebecca Lamb. This beautiful granite memorial marker noting William’s service in the War of 1812 was funded by Lamb family members in early 2015. After the dedication ceremony, family will move to the Princeton Tourist Welcome Center at 201 E. Main St. in Princeton where a hearty, Southern-style lunch will be served. The price for the meal is $25 per person. Afternoon activities will include a talk by our guest speaker William H. Mulligan, PhD. Dr. Mulligan is a history professor at Murray State University, with interests in early American social and industrial history, Irish immigrant history, and the Civil War. He will talk about what life was like for post-Revolutionary War Lamb ancestors, with a focus on the influence of the War of 1812. Descendants of Thomas and Alice (Longshore) Lamb are welcome to join our group for a fun afternoon of visiting and fellowship, meeting new family members and sharing genealogical information. Lamb descendants are invited to bring old family photos, family histories, and any family heirlooms they wish to share. Family descendant charts, historical maps and documents will also be on display. For more information or to RSVP, contact Matthew T. Patton by email at matthewtpatton@yahoo.com. Dorothy Dean Shewcraft Young, age 85 of Murfreesboro, Tennessee, formerly of Owensboro, Kentucky, passed away on April 19, 2015, in her home. Born December 3, 1929, in Fredonia, Kentucky, she was the daughter of the late Oda Lee (Patton) and Luther Frances Shewcraft. On September 17, 1951, she married the late James William Young. She was also preceded by sisters, Minnie Nell Martin, and Edna Lee Macon and brother, Keith Shewcraft. Survivors include her daughters, Ann Yaudes and her husband John of Murfreesboro, Kathy Ellis and her husband David of Freetown, Indiana; grandchildren, Ben Ellis and his wife Holly, Jacob Ellis and Jack Yaudes; great-grandson, Braeden Ellis; sisters, Betty Hodges of Crayne, Kentucky, Carolyn DeSpain and her husband Jerry of Owensboro, Kentucky; brother, Carlton Shewcraft of Marion, Illinois, and a brother-in-law, David Ramsey Macon of Owensboro, Kentucky. Dot had several nieces and nephews who survived her. Dorothy “Dot” was an LPN and worked in various hospitals and nursing homes. She also served as a Gray Lady and was involved in DAR, UDC, the AARP chapter in Owensboro, Kentucky, and was a Kentucky Colonel. Dot volunteered at food banks, second-hand clothing stores, and she was involved in the jail ministry. 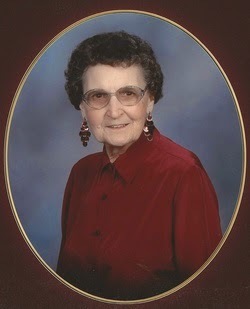 Dot was a member of the Owensboro Christian Church. As a career military wife, she moved to two different countries and nine different states. She was an excellent seamstress, endeavoring everything from Barbie clothes to tuxedos and loved making jewelry and crafts of all kinds. Visitation will be from 4:00 P.M. until 8:00 p.m., Wednesday, April 22, 2015, at Woodfin Memorial Chapel in Murfreesboro. Funeral services will be held 11:00 a.m. Thursday, April 23, 2015 at Woodfin Memorial Chapel with David Ellis officiating. Burial will be in Coleman Cemetery. The family requests memorials in memory of Mrs. Young be made to the Wounded Warrior Project, 223 Rosa L. Parks Avenue, Suite 301, Nashville, Tennessee 37203. 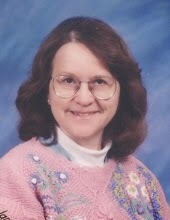 Wanda Ruth Hodge, 67, of Marion died April 3, 2015, at River’s Bend Retirement Community in Kuttawa. She was of the Christian faith and was a retired medical technician at Livingston Hospital and Healthcare Services in Salem. Hodge is survived by two daughters, Jennifer Galante of Kansas and Kathleen Saunier of Lexington; her parents, Harold and Alpha Fuller Hodge of Marion; six brothers, Mike Hodge of Florida, Paul Hodge of Indiana, Mark Hodge of Frances and Reg Hodge, Tim Hodge and Greg Hodge, all of Marion; four sisters, Alfreda Wheeler, Mildred Hodge and Henrietta Ellington, all of Marion, and Brenda Farrow of Pennsylvania; and four grandchildren. Funeral services were Tuesday in the chapel of Boyd Funeral Directors in Salem with Rev. Tim Burdon officiating. Burial was in Owen Cemetery.